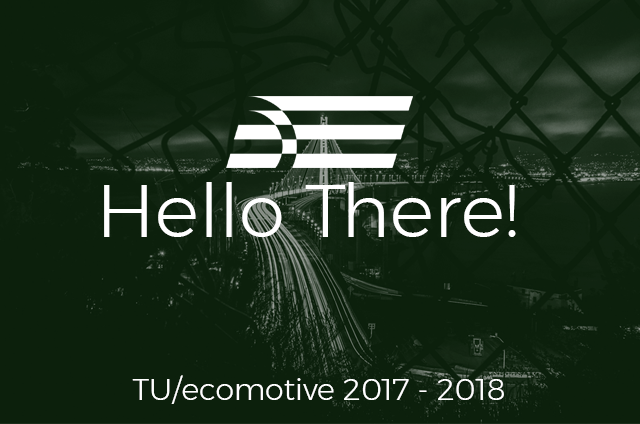 For the first time in two years, TU/ecomotive starts with a completely new team. The team is highly motivated to make this year just as memorable as in previous years. As expected we will make a new car this year again. However, we will stay true to the vision of the team but develop a completely new concept tackling the problems of tomorrow. This year we have 20 students in total. For the first time, we have also recruited outside the university and added two people of Fontys Applied Sciences to our team. Currently, we are working hard on the design of our next car. In this stage, all teams (electric, mechanical and design) are working together to connect all the different pieces. As can be read in our latest newsletter, the designers are sculpting a clay model in which the lines of the body can be visualized. We are making steps in the right direction and we cannot wait to reveal the design! As mentioned before, this year we will tackle a few new problems. Problems that we believe are threatening the way we live today. We cannot tell you what we are planning to do yet. More about our concept and goals will be revealed during our Design Presentation expected in Q1 of 2018.